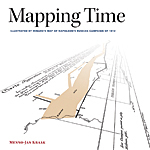 This book considers the cartographic challenge of visualizing time on a map. Inspired by graphic innovator Charles Minard’s classic map of France’s disastrous invasion of Russia, this book combines historical and geographic analysis with cartographic visualizations of mapping change over time. It includes more than 100 full-color illustrations. May 2014. 168 pp. Hardcover (ISBN: 978-1-58948-312-5, US$49.99) and e-book (ISBN: 978-1-58948-366-8, US$49.99). 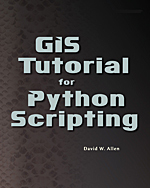 GIS Tutorial for Python Scripting is filled with practical examples, exercises, and assignments to help build proficiency using Python in ArcGIS. Knowledge of Python—a key tool for scripting geoprocessing functions and tasks in ArcGIS for Desktop—is expanded through hands-on programming. This book builds on previously acquired GIS skills and takes them to the next level with the use of Python to automate your GIS applications. Designed to be equally suitable for course instruction or independent study, data is provided for the hands-on tutorials and exercises. Instructor resources are available for course use. June 2014. 284 pp. Paperback (ISBN: 978-1-58948-356-9, US$69.99) and e-book (ISBN: 978-1-58948-370-5, US$69.99). 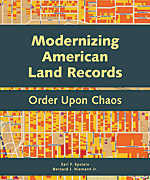 By Earl F. Epstein and Bernard J. Niemann Jr.
A design for a modern American Land Records System that provides material about both the nature and extent of land interests is discussed in this text. The book includes a history of American land concepts, land governance, and land records systems and their use. These institutional aspects are considered, along with the nature and extent of location-oriented land data systems, such as geographic and land information systems (GIS/LIS). July 2014. 290 pp. Paperback (ISBN: 978-1-58948-304-0, US$24.99) and e-book (ISBN: 978-1-58948-375-0, US$24.99). Esri Press e-books are available through the Esri Bookstore app or from online retailers. For information on all Esri Press publications, visit esri.com/esripress.